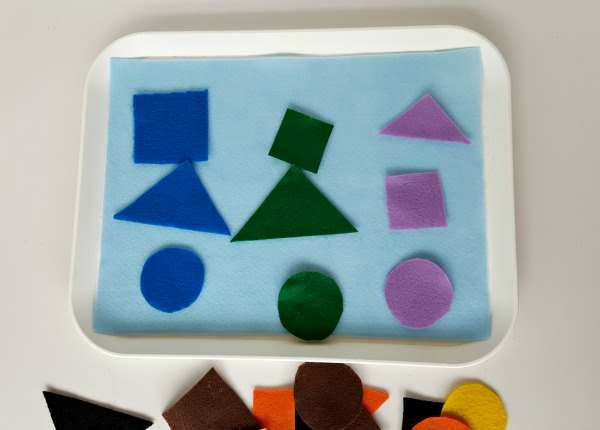 This simple felt shapes sorting activity for toddlers is a fun and easy way for toddlers to explore shapes and get creative. The colors and soft fabric also provide a sensory experience kids will love. As always we love to pair up our activities with books and we love these books about shapes and colors. Felt shapes are perfect for early learning activities: they are durable, easy to handle, and practically mess-free! 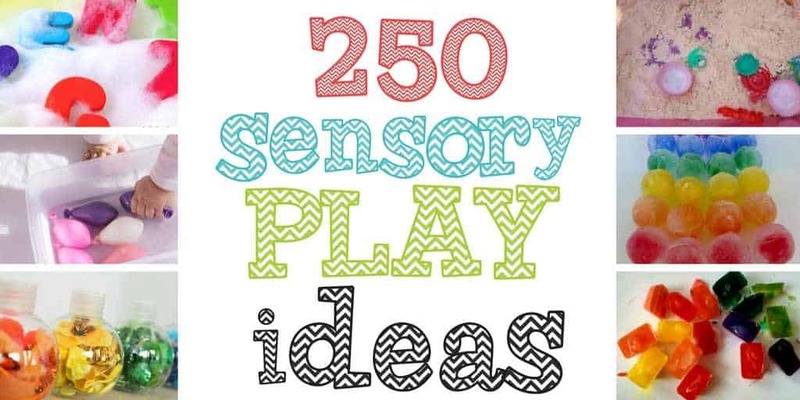 This activity is easy to set up and can be delivered during quiet time, or one-on-one time, with minimal guidance. Here are the two materials needed for this activity. 1. Various colors of felt – we like these ones. 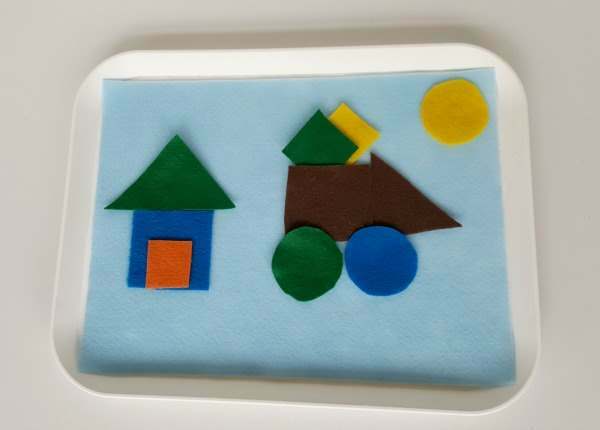 Cut simple shapes from the felt, large enough for toddler’s fingers to handle easily. If you prefer you can buy pre-cut felt shapes like these ones. The shapes can be sorted on a felt board, or on a plastic tray lined with a piece of felt as we have done here. 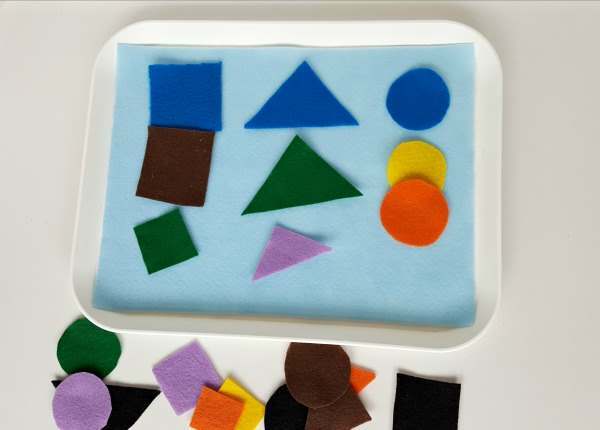 You can provide a prompt by placing a series of shapes on the felt tray. For example, place a blue square, triangle and circle at the top of the tray. Talk about the shapes and colors as your child chooses the pieces and adds them to the tray. Encourage your toddler to sort the felt cut outs by color. Now it’s time to create! 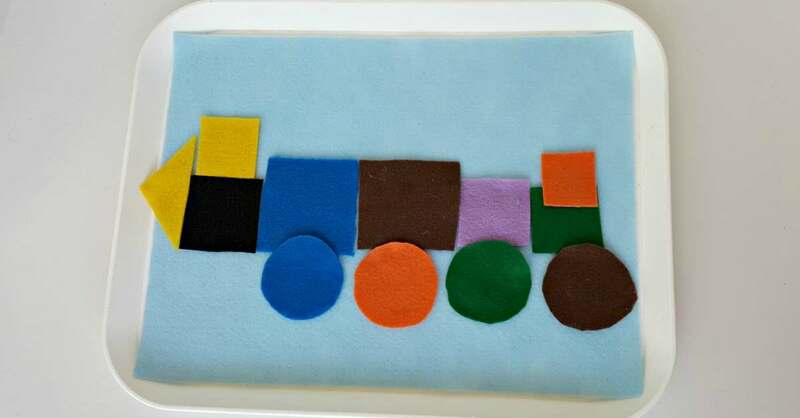 Applying felt shapes randomly to the felt tray is a great activity for exercising creative skills along with fine motor skills. 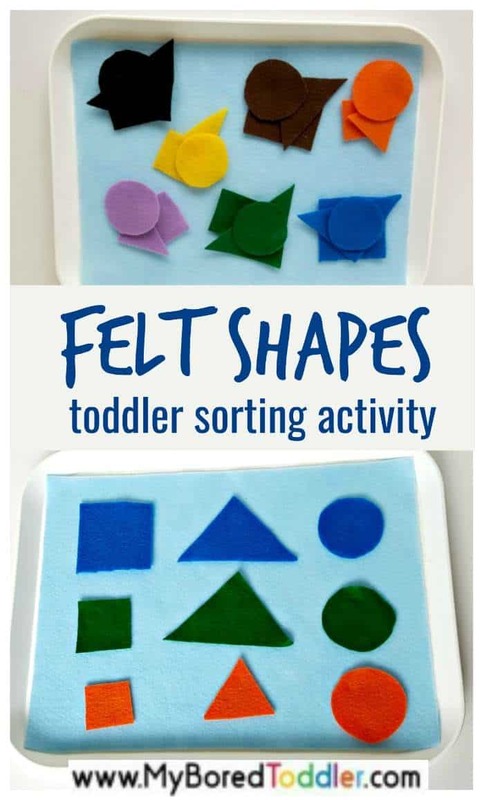 This is a process art activity so there is no right or wrong way to create with the shapes. .
Talk about the process as your toddler builds and creates. I love the green triangle you chose for the roof of the house. Let’s count the circles you lined up at the bottom of your picture. I see you are starting with a brown square. What shape will you add next? 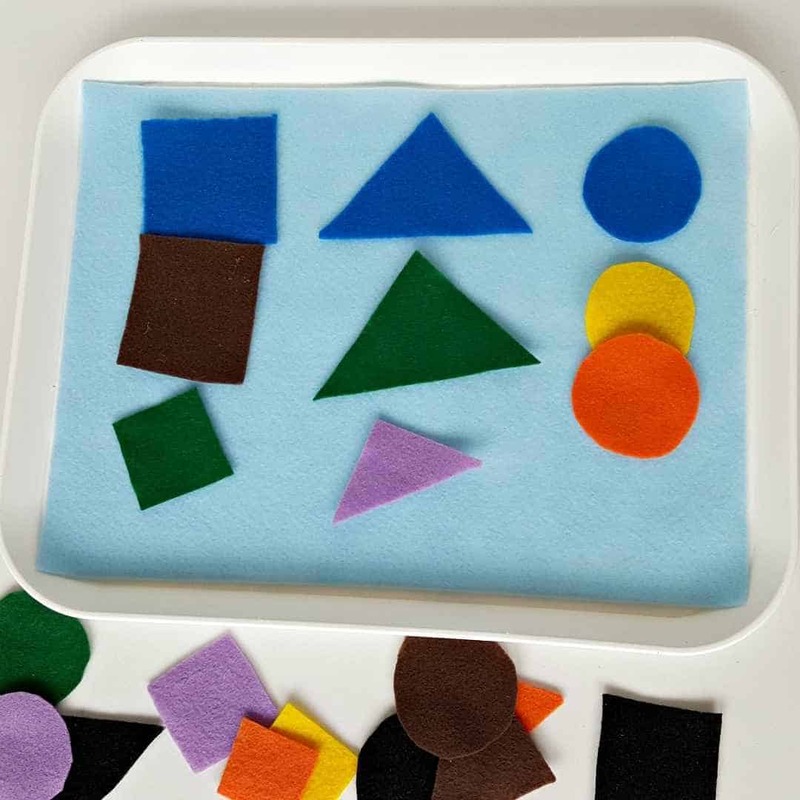 A sorting and creating activity with felt shapes encourages kids to experiment with materials in a fun way while exercising creative and fine motor skills, as well as language and cognitive skills. This is even more exciting for toddlers who are just beginning to experience arts and crafts opportunities. A simple activity like creating with felt shapes is a great way for toddlers to explore and learn hands-on.